We understand infection control and its role throughout your practice, which is why we offer diverse sterilization products – centers, sterilizers and instrument washers – to meet your needs and preferences. Proper instrument sterilization is necessary to ensure the protection of patients, doctors and staff members from various infectious diseases. 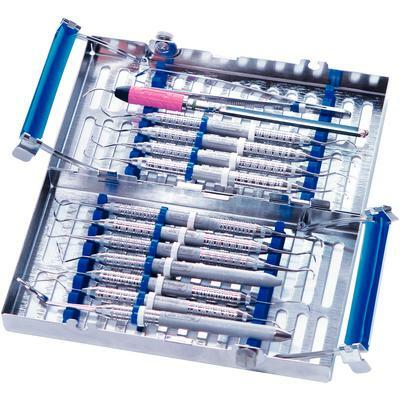 The perfect dental instrument processing area varies based on your unique space, but many practices prefer a sterilization area that is both centrally located and restricted to authorized personnel. No matter what your preferences are, we have the equipment to help. The A-dec Inspire is what results when you set out with the uncompromising goal of creating a sterilization center that is as beautiful as it is functional. With plentiful storage and dedicated areas for prepping, dispensing and sterilizing, A-dec Inspire is the pinnacle of efficiency. Our product line extends beyond sterilization equipment. We also offer all the infection control products you need to make your complete sterilization solution function optimally.